The 2018 Bat Season, which runs through August 12, began in Ruifang on Friday. The season kicked off at Bat Cave Park (蝙蝠洞公園) on the northern coast of Ruifang District (map) with hundreds of people joining the start of the season. The city has volunteer lecturers to take visitors on tours of Bat Cave Park every Friday and Saturday from 6 pm to 7 pm. They will also teach visitors about the bat habitat and conservation efforts. Visitors will can also order special Bat Season food at the Ruifang Food Court (瑞芳區美食廣場) near the train station. During the height of the season there can be as many as 200,000 bats in the area. They can generally be seen between April and September around sunset. 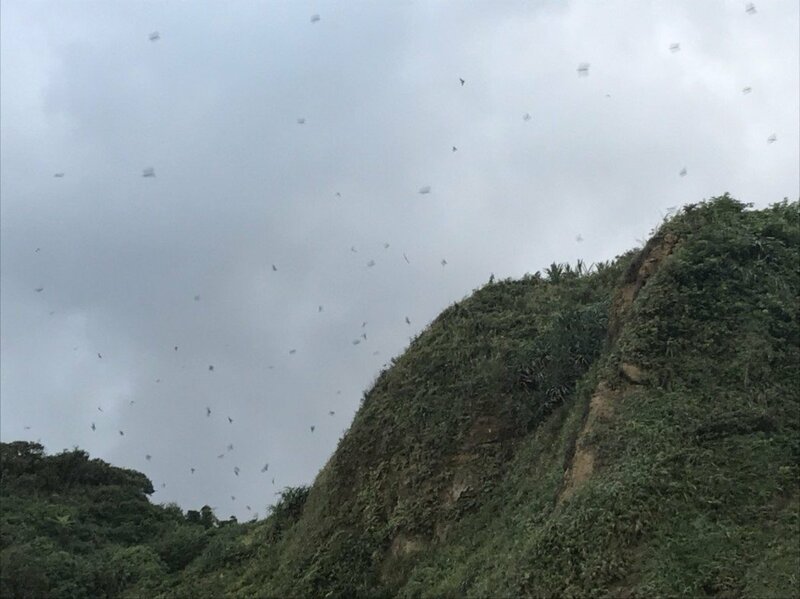 Bat Cave Park is a breeding environment for the bats, and New Taipei Agriculture Department Commissioner Li Wen (李玟) said that the area is home to more bats than anywhere else in Taiwan. Visitors are reminded to not use a flash when taking pictures as it may disturb the bats.